Grinding coffee beans by hand may sound like hard work. But for anyone who enjoys the ritual of preparing coffee, or appreciates the entire bean to cup journey, a coffee grinder is a rewarding and educational investment. 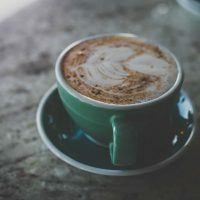 Quite frankly, once you know how much better your daily cup of coffee tastes when brewed with freshly ground coffee beans, there is no turning back. To help you choose the best manual coffee grinder, we delve into what makes a great hand coffee grinder and share our top picks. Why Choose a Hand Coffee Grinder? When Is a Manual Coffee Mill the Wrong Choice? Which Manual Grinder is Best for You? So what is all the fuss about freshly ground beans? Well, coffee beans are just like any food product – fresh is best and there is plenty of science to prove it. Once you grind the beans, the freshness and aromas within rapidly deteriorate. In fact within 30 minutes of grinding, the beans have lost much of their unique aroma and taste profile. Will pre-ground coffee still give you a caffeine boost? Yes. Will it have the best possible flavour? No. Another reason for grinding beans at home is so that you always have fresh coffee ground to the correct coarseness. 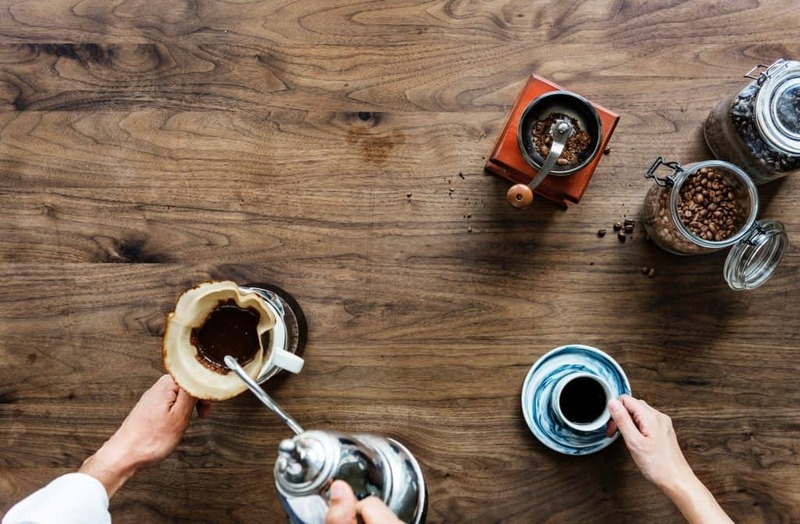 Whether you are looking for coffee for your French press, espresso or pour over, you can prepare the perfect brew every day at home. Below we share our top manual coffee grinder recommendation. Read on for all 7 reviews. The Hario Skerton Pro offers the best combination of quality, practicality and portability. Whether you are looking for a manual coffee grinder for home, the office or camping, the Hario is a great choice. A manual hand coffee grinder may not be suitable for everyone but they have some definite advantages. Manual coffee mills are less expensive. If you want to try your hand at coffee grinding, but don't want to make a huge investment, a manual coffee grinder is a great place to start. For those living in close quarters, coffee hand grinders are a practical choice. Many electric coffee grinders will wake the deepest sleeper! With a manual coffee grinder you can make that cuppa without waking the household. That is until they smell the coffee! Best of all, a coffee hand grinder is portable. Do you love camping, road tripping, backpacking, or setting off for a weekend trip to the beach? Throw the hand crank coffee grinder in your luggage to create the perfect brew, wherever you are. True coffee aficionados will tell you hand cranked coffee grinders deliver a higher quality grind as there is no heat involved. Why is heat bad? The heat generated grinding your beans can cause the delicate oils and aromas to dissolve before you even start brewing. Lastly, some people just enjoy the ritual of grinding their own beans. It becomes a much loved part of the coffee making process. If you only drink espresso coffee. The finer the grind, the longer it takes in a manual coffee grinder. Manually grinding coffee beans does require a little upper arm work. If you have arthritis, struggle to grip small handles, or just don't like the idea of a mini work out in the morning, a manual coffee grinder may not be a practical choice. 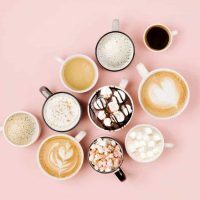 If you regularly brew coffee for 3 to 4 people, or have a coffee maker that requires a large quantity of beans, you may find yourself rotating the manual coffee grinder more often than you would like. 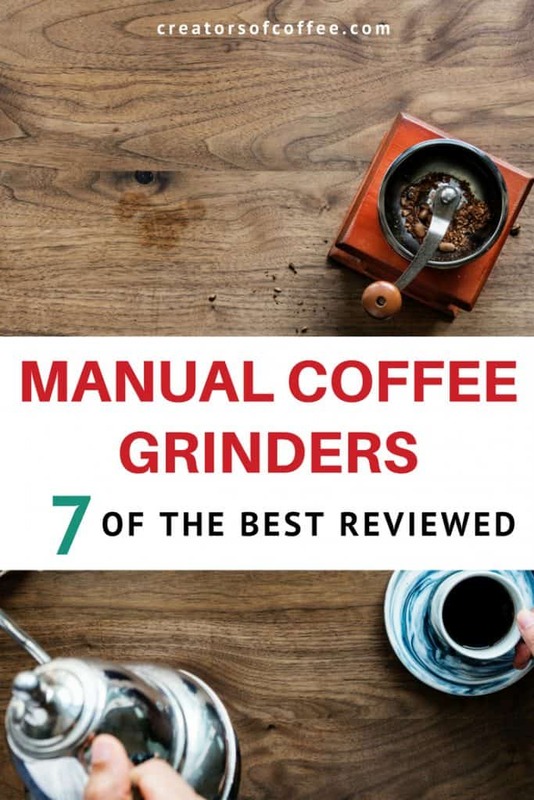 After conducting research across the range of manual coffee grinders on the market, we found 7 high quality hand coffee grinders that suit a range of circumstances. 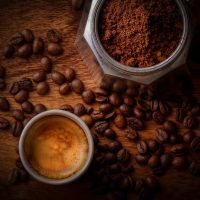 Whether you are looking for the best hand crank coffee grinder for home, for travel or as a gift for a coffee lover, you will find your best option in this list. We review each of these manual coffee grinders below. Grind consistency is an important factor when buying a handheld coffee grinder. If you are a fan of Pour Over or French Press coffee, look for a grinder that can produce consistent coarse grinds. The hand coffee grinders vary in size. This may not be important if the grinder stays on the kitchen bench. But if you plan to travel with your grinder, it is an important consideration. The capacity of the hand grinders also varies. If you regularly make coffee for more than 1 or 2 people, pay attention to the capacity of the chamber. 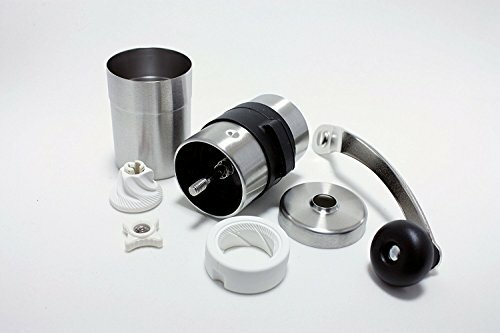 Most manual coffee bean grinders are robust little devices, but there are differences in materials. Stainless steel is more durable than glass. Ceramic is heavier than either glass or stainless steel. Consider how you will use the handheld grinder to decide which material suits you best. If you plan to use it when you travel, you will worry less with a stainless steel grinder. All good hand crank coffee grinders will use either ceramic or steel burrs. Don’t get anywhere near a hand held coffee grinder that uses steel blades. This is a point of differentiation amongst manual coffee grinders. Some manual burr grinders have numbers on the side to indicate the grind setting. Others have a system of clicks that you need to remember. Others have no clicks or numbers at all. The most practical hand coffee grinders are those with a numbered grind setting. The next best is an easily adjustable click system. Traditionally the crank is on top of the unit. Depending on the quality of the burrs, they can be hard to turn. Some models now position the crank on the side of the unit. I personally love this feature, but it is a hotly contested topic and comes down to personal preference. Obviously a manual coffee grinder is going to grind your beans more slowly than an electric grinder. Most will take around 30-60 seconds to grind enough beans for a single cup of coffee on a coarse grind setting. Higher quality components usually means a faster grind speed. There are a number of high end manual grinders, such as the the Lido 3 or 1ZGrinder. But the reality is for most regular coffee drinkers like you and me, there is no need to spend megabucks on the best handheld coffee grinder on the market. We think you are better off saving your cash and spending it on fresh coffee beans instead! Hario coffee grinders are one of the most popular brands in the market and for good reason. The Hario manual coffee grinders are ergonomic and versatile. While the Skerton Plus has been on the market for a while, it is the latest release, the Pro, which we think takes the title of best manual coffee grinder. The new Pro model has the same slip free base, ceramic conical burrs and lightweight design as the Skerton Plus. Stabilising plate to reduce burr wobble (one of the biggest issues with the standard model). Much improved method for adjusting the grind size. 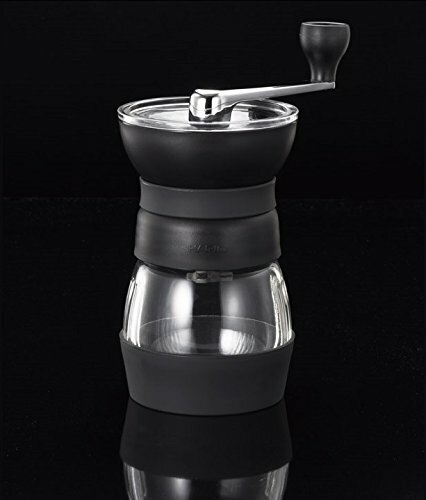 The Hario Skerton Pro is easy to clean, the borosilicate glass is extremely durable and the chamber comes with a lid to store any extra coffee grounds or beans. Perhaps the most novel feature is that the grinder can be screwed onto a standard mason jar. If you want to leave the chamber at home when you go camping, this versatility is unique amongst all the grinders on our list. The improvements made on the Pro Model are demonstrated really well in this video below. The large chamber makes it the best manual coffee grinder for French Press coffee in our list. At 7.6 inches tall and 1.46 pounds this ceramic hand coffee grinder is not as compact as others on the list. However, we think it is still the best portable coffee grinder that delivers the best combination of quality, consistency of grind and functionality. 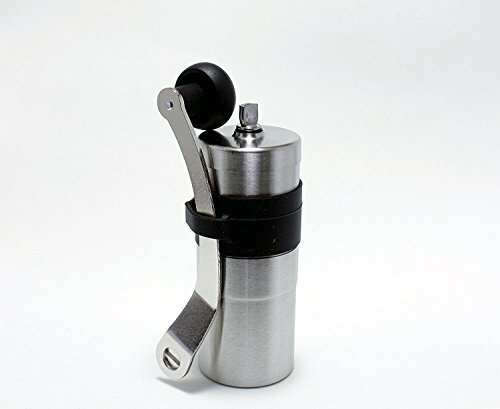 The Porlex Mini is a small manual coffee grinder. At 5.1 inches tall and weighing only 10.4 oz it is the smallest on our list. 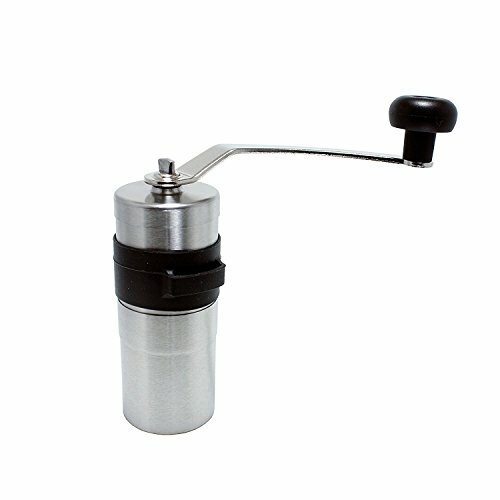 This stainless steel manual coffee grinder is easy to hold, has 13 grind settings and has capacity for a single cup. The Porlex Mini has a removable handle which can be conveniently stored when traveling. Due to its small size it is a popular backpacking coffee grinder. It also fits inside the Aeropress which makes it the perfect Aeropress coffee grinder. With ceramic conical burrs it is able to produce a consistent grind on a medium setting. It does deteriorate for coarser settings but this is not uncommon for coffee hand grinders. Finer grinds will take a fair amount of time and effort to grind, but the crank is long enough to make it easy to spin. This isn’t the perfect grinder for home, but it is the best travel coffee grinder. Durable and compact, this manual burr coffee grinder is the top choice for the single traveller. If you love this product but are looking for a larger capacity, go for it’s big brother, the Porlex JP30. The Porlex JP30 has a larger 30g capacity. It has similar features and the same quality design as the Porlex Mini. The larger capacity makes it one of the best camping coffee grinders for small groups. 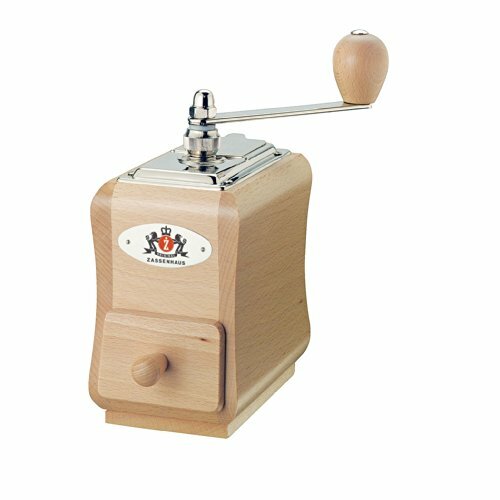 The Javapresse Manual Coffee Grinder is one of the best sellers on the market. Compact, cheap and with a robust stainless steel design, it is a great portable manual coffee grinder. The Javapresse has a 40g capacity, plenty for two cups of coffee. With no glass to worry about this could also be the perfect camping coffee grinder. This ceramic conical burr coffee grinder has 18 settings that click in to place, plus a removable hand crank. It is 7.5 inches tall and weighs in at just 9.4 oz. The quality of the Javapresse is perhaps not as good as the Porlex, with more plastic components inside. But the company is renowned for offering excellent customer service. This hand grinder may not offer the best consistency of grind or the highest quality burrs, but for the price it is an excellent entry level coffee grinder. Paired with a budget espresso machine you are well on your way to making the perfect brew every day at home. 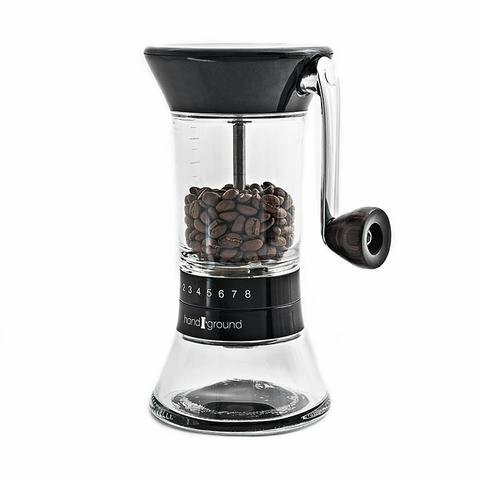 The Handground Precision Coffee Grinder is one of the newest hand crank coffee grinders on the market. It has a novel story as it was designed and built with the input of thousands of coffee enthusiasts through a Kickstarter campaign. Large and extra wide hopper. Easy to turn side crank. The Handground Grinder has a 40mm conical ceramic burr mill and triple mounted axle to eliminate burr wobble. It is rated highly for its consistent grind on 15 settings which is great for anyone who enjoys a range of coffee styles including Aeropress, French press, Pour over and espresso. The Handground Precision is a large manual coffee grinder. Taller than most on our list at 8.6 inches tall and it weighs 1.3 pounds. The glass is a little fragile and not as robust as the Hario. All these factors make the Handground Precision less portable than others on our list. Perhaps the biggest concern with this grinder is reported issues with the quality of the burrs and the slow response to customer issues. The ergonomic design and intuitive features on the Handground coffee mill are perhaps the best on the market. However a little more work is required to improve the quality of the ceramic burr mechanism before it can become a firm favourite. The Kona is the cheapest manual coffee grinder on our list. It has 18 settings and a 50g capacity which is more than sufficient for two people. With ceramic burr blades, an easy to grip design and a hopper that can grind enough coffee for 2-3 people you may wonder why you need to pay more? The Kona is 7.5 inches tall and weighs only 8 oz. It is perhaps not as sturdy as others on our list. The hopper is made from plastic with a glass chamber. 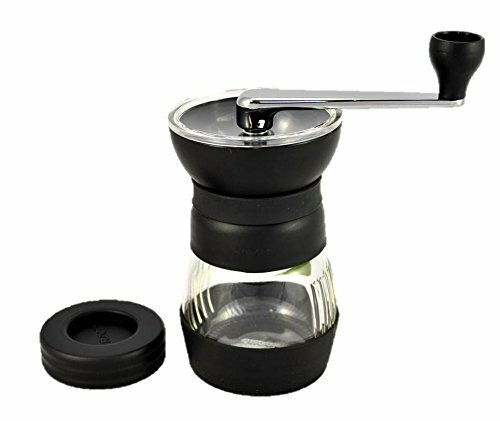 It lacks the non-slip base found on other glass bottomed grinders. It is no surprise at this price point that consistency of the grind is more variable and the speed to grind is slower than the other models. This coffee grinder may not last for years, but for beginners looking for a cheap hand coffee grinder, this is a good choice. If you are looking for a little vintage style in your kitchen, the Zassenhaus Santiago coffee grinder may be the one for you. Made in Germany it has the look of an antique coffee grinder. But don’t be fooled, this vintage manual coffee grinder is built to last and comes with a 25 year warranty – something you rarely see these days. 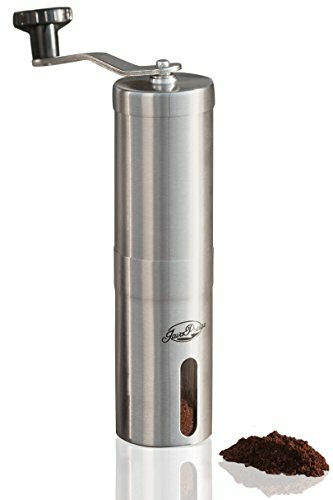 The Zassenhaus grinder is 7.9 inches tall and weighs 2.1 pounds. The Zassenhaus Santiago is the only manual grinder on our list with stainless steel burrs and an infinite grind size dial. The infinite grind size dial gives you full flexibility to grind any coarseness for every style of coffee. 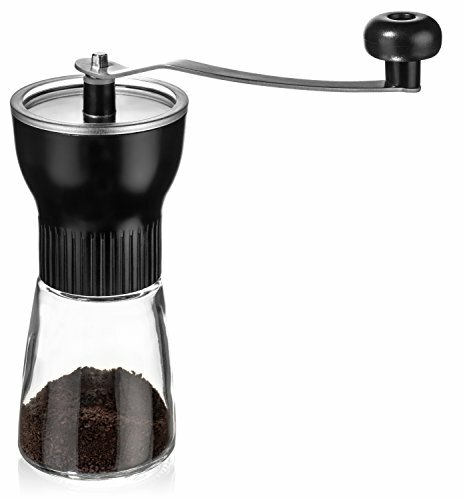 This makes it one of the best manual coffee grinder for espresso and turkish coffee. You won’t be taking this baby traveling with you, but if you love the vintage look and are looking for a quality grinder that will look great in your kitchen, this is a good choice. The best overall hand coffee grinder is the Hario Skerton Pro. High quality design, consistent grinds, robust enough to take camping and versatile enough to use on top of a standard mason jar. If ergonomics is your main priority then the Handground Precision is the best manual burr coffee grinder. If you are on a budget, the Javapresse offers the best combination of quality, portability and customer service. For the frequent traveller or backpacker you can’t really go past the Porlex Mini for its lightweight robust, high quality design.